Each of us has unique financial goals, be it for retirement, education or marriage. Tell us a little bit about yourself and we will help you with a customized portfolio with investments through Systematic Investment Plans in the wide range of SBIMF products. Answer few questions which will help us understand your risk profile and to determine which scheme/ asset class will be suitable for you. Select the goal that you wish to calculate your financial plan for- be it Retirement planning, Dream Home, Child’s education or any other financial goal of your choice. 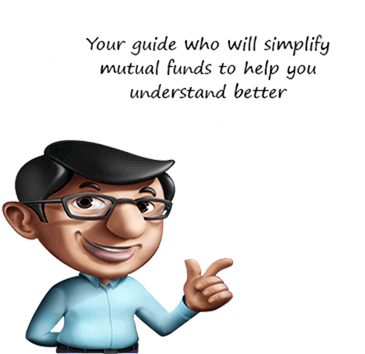 We then recommend you a customized bouquet of mutual fund schemes with Monthly Systematic Investment Plan (SIP) amount , that suits your investment objective and risk profile to help you achieve your financial goal. CRISIL has provided an asset allocation framework developed by it to take into account the risk tolerance levels, asset classes and products defined by SBI Mutual Fund and as per the methodology mutually agreed with SBI Mutual Fund. CRISIL Research, a division of CRISIL Limited (CRISIL) has used reasonable care and skill in preparing this framework based on the information obtained by CRISIL from sources which it considers reliable (Data). However, CRISIL does not guarantee the accuracy, adequacy or completeness of the Data / Framework (or Report generated from the Framework) and is not responsible for any errors or omissions or for the results obtained from the use of Data / Framework (or Report). This Framework (or Report) is not a recommendation to invest / disinvest/ redeem in any company/mutual fund scheme covered in the Report and no part of this Framework (or Report) should be construed as an investment advice. CRISIL especially states that it shall not be liable for use of the Framework (or Report) by any subscribers/ users/ transmitters/ distributors of SBI Mutual Fund. CRISIL Research operates independently of, and does not have access to information obtained by CRISIL’s Ratings Division / CRISIL Risk and Infrastructure Solutions Limited (CRIS), which may, in their regular operations, obtain information of a confidential nature. The views expressed in this Report are that of CRISIL Research and not of CRISIL’s Ratings Division / CRIS. No part of this Report may be published / reproduced in any form without CRISIL’s prior written approval.